If you have ever heard Elon Musk mentioning a potential human colonisation on Mars, then you have probably wondered how does Mars actually look like. Well, luckily you don’t have to keep on imagining what if feels like to roam around the crannies and crevices of the red planet anymore as you experience all of that directly from a computer. 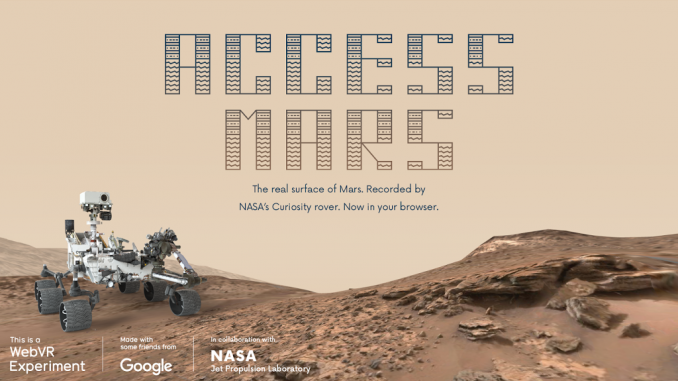 All of that is thanks to NASA’s and Google’s Mars virtual reality collaboration – Access Mars. Anyone can go on a virtual tour of the planet, as seen by NASA’s Curiosity Rover’s Eyes. The experience is possible thanks to a WebVR technology, which allows users to view virtual reality in any internet browser without a need for an app of a fancy VR equipment. This doesn’t mean that a fully immersive 3D experience is not possible – you can still use a computer headset and get lost in 360 views. 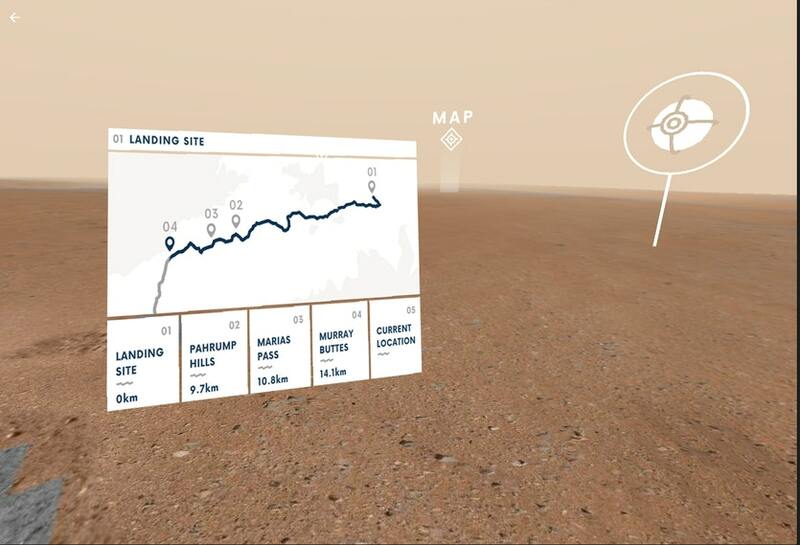 The site was developed by NASA’s Jet Propulsion Laboratory’s OnSight software in collaboration with Microsoft, and it focuses on stimulating Mars’ surface in VR from real rover data. Curiosity Rover was launched in 2012, and its primary goal was to collect images and data from Mars and make it available to scientists based on Earth. After the software is launched on your browser, the website opens up with a video that recaps the story of Curiosity Rover, and it demonstrates how the robot captures images. On the top of that, you will be accompanied by the NASA scientist – Katie Stack Morgan – as a tour guide. So you can move around, explore, look through the robot’s eyes and ask questions. You can also click on parts of Curiosity Rover to learn more about the design details. The images are never older more than a few days as NASA continuously updates the view with the most up-to-date images. Pretty good way of delving into a distant planet via virtual reality. Curiosity Rover was launched to search for evidence that Mars has been suitable for life. Now you can join the adventure – without leaving your seat. What do you think of the NASA and Google Mars virtual reality collaboration? Have you already tried it? Let us know in the comments below!